I was reading something-or-other yesterday and the question came to me... what's my favorite plant to grow, if I had to pick just one? For some reason I was excited about the question, mostly because it's so hard to decide. And, since it's impossible to pick just one, I figured I should split it up a bit into my favorite fruit, vegetable and herb plants. 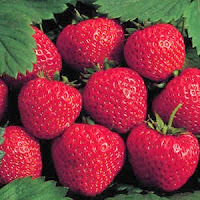 My favorite fruit to grow has to be strawberries. This one was tough because I love our blueberry plants, but they just don't compare in taste to strawberries. Our fig and grapes have yet to really produce anything and our cherry tree is still quite small, so, at this point, it's going to be the strawberry. My favorite vegetable to grow is the tomato, even though it's really a fruit. It is, hands-down, one plant that can be a total failure where I live, but the anticipation of them producing their delectable goodies is exciting even when faced with that failure. And, the reward of fresh tomatoes from the backyard is phenomenal. My favorite herb to grow is rosemary. This plant grows like crazy in the Pacific Northwest and, no matter what you do, it thrives. I don't think you can kill it even if you tried. I love our sage and go nuts over our lavender, but for year-round satisfaction and utility, it's the rosemary that gets my vote. So, I thought I'd pose the question to you guys as well. If you could only grow one of each type of plant, what's your favorite to grow and why? Feel free to include where you live, because that might help the rest of us gardeners as well! 1. What's your favorite vegetable to grow? 2. What's your favorite fruit to grow? 3. What's your favorite herb to grow? Veggie: SQUASH. Squash in every shape, form, size, flavor, color, etc. It's a go anywhere, do anything, grow-like-mad kind of plant! Fruit: Tomatoes (I know we think of them as veggies but blah blah blah)...I got 300 lbs. of tomatoes last summer off of 20 plants! Of course, if we want to get into sweet fruits, strawberries, hands-down. Herb: So many! I will say my favorite culinary herb is sage (it's also medicinal, of course! ), and that my favorite solely medicinal herb is calendula...or comfrey...or lady's mantle..
At any rate, I know beyond a shadow of a doubt that I love squash. Looking at the squash selection of the seed catalog is like looking at p0rn. Tie. Tomatoes, potatoes, and onions. Applesauce, cider, horse treats. EASY. Tie. Rosemary, cilantro, basil, garlic. Pasta sauce, salsa, rosemary roasted potatoes. Almost forgot! Fruit: BLUEBERRIES! And currants because they were already here. Jeez, Liz. Pick one from each, already. Fruit: Blackberries grow like crazy here and they taste so great straight off the bush. Vegetable: If we're counting tomatoes under veggies, it's the definite winner. I will never be able to understand how someone could dislike tomatoes. Green beans and peas are the runner ups, though. Herb: Oregano is delicious in so many things and I've never had anything but good luck with it. I've also always wanted a lawn of mint, so it's kind of a toss up there. Of course, all of this could change in a day, week, month, etc---home grown tomatoes always sound the best in january. Fruit: No fruits here, sadly. Although, thanks to the reminder from Kelsie that tomatoes are actually fruit not veggies, I suppose we could slot tomatoes here! Veggie: For me, it'd be lettuces. For hubby, (since we're putting tomatoes in the fruit category), it'd be squash. Herb: For me, it'd be thyme. For hubby, it'd be rosemary. At the moment, lettuces and strawberries, because we're swimming in both, and they're so lovely! Our strawberries are huge, organic, and with nothing been on them except wind and rain. As for our lettuces, my five year old son grabs them by the handful (they're "pick and pick again" varieties) and shoves them in his mouth, saying (between the chomping) "It's so yummy, mummy!" Happy, healthy children makes growing our own food so worthwhile! Herbs : mint - I just love the taste of mint and it grows like a weed. Fruit, apples. Ate like a king when I was poor but lived in a house with an orchard. Veg, Potatoes. Herb, Oregano. Even in an apartment, I grow oregano on the deck. Makes my spaghetti far better than the store bought stuff. Ohhhh so hard because there are so many plants I want to try growing but for now I would have to say. Fruit - Quince, our tree was very prolific and I love getting out bottled quinces and quince jelly year round. Veg - Swiss Chard. Always reliable in my sun-deficit yard, and can be so versatile. Fruit - Can't grow and due to the sun issues mentioned above. Ok, if you could tomatoes, I do manage to grow those, but yields aren't stellar. Herb - thyme. yum. Love it in everything. I'm going to be a little rude and ignore the question as you posed it because I read the original question a little differently than you. I focused on the "to grow" part - what do I enjoy growing, not eating, not having but growing. And that is hands down the tomato. Tomato plants have those hairs all over that look like they should be uncomfortable to touch but really aren't. It has that distinctive smell which stays on your hands. But really the growing part is what's fascinating. They can sprawl and meander or climb (maybe with a little help). They branch like crazy, almost like they forgot they were already growing someplace else. And they root from anywhere. Not just for layering but for cuttings too. You can cut a leaf and stick it in the ground and chances are you'll have a new tomato plant. Propagationally promiscuous. Hi Crunchy here in the very temperate west coast of New Zealand we can grow just about everything. My favourite vegie is tomatoes - so many varieties, colours and shapes, favourite fruit is raspberries, delicious eaten with sour cream and brown sugar and favourite herb is chervil, the aniseed zing on the tongue is delightful. While I love these things, I'm happy with seasonal and fresh and grown by me! Fruit: Watermelon...although is that technically a veggie? Herb: Thai Basil. Love the smell. Love the flavor. Love it. Veggie: Last year, my favorite was kohlrabi. They look like aliens. Fruit: The only one I personally grow is strawberries, which the neighborhood kids eat for me. Herb: Rosemary. I always have a bush growing. I bring it in for the winter. I do love basil, though...can I have a runner-up? Fruit: Raspberries- no contest! Too bad the mountain beaver likes them too (or the canes, at least). Vegetable: Shelling peas- the kids love to be able to go out into the yard and pick them fresh off the vines and pop them into their mouths. I think they pretend that they're candy instead of green vegetables. Veg: carrots, because I can never buy them as good as I can grow them. fruit: pears, just because I love them so much. herb: basil, because it is here and fresh for such a fleeting time. Since I don't particularly like gardening, I'd have to say my favorite produce to grow is citrus. The trees just need water and fertilizer occasionally. I'm happy that my hubby likes gardening as it's great to use the fresh produce he grows for us. Fave veggie so far would have to be homegrown spuds; fresh ones are amazingly buttery. Fave herb would, surprisingly, be dill. This is tough. I may have to go with asparagus as my favorite veg to grow, even though this year will be our first harvest. I'm all over a perennial that keeps on giving year after year. And asparagus is one of my all-time favorite vegetables. If Tuscan kale were perennial, that would definitely get my vote. Fruit: Well, so far I can't take much credit for growing fruit. We have a lovely mature apple tree that came with the house, and volunteer wineberry canes that just showed up. We love both of them. You'd have to check back in with me after the blueberries, cherries, elderberries, raspberries, pears, figs and grapes start producing. (Culinary) Herbs: Well, rosemary doesn't fare well through our winters. So as much as I love it, I can't go with that one. Chives and sage have no trouble here though, and I love both for different reasons. Chives come up so very early, produce for such a long season, and lend themselves to so many uses. But sage is really one of my very favorite herbal flavors. So I guess I have to go with sage. As for other the non-culinary herbs, comfrey wins hands down. It has so very many uses. Chicken feed, medicinal, green manure, bio-accumulator, a Japanese beetle lure, honey bee forage, and just when I couldn't be any more impressed with this plant, I found out that it's an incredible habitat for overwintering spiders. I can't imagine homesteading without this plant. Veggie: Carrots! My daughter and I were unsuccessful last season and it was pure delight when we moved into our new house that had a great garden planted. My 3 year old was in carrot pulling heaven. We will attempt them again! Fruit: Can I just be vague and say Berries? Love them all. I haven't had the opportunity to grow many sweet fruits, so for now I'll say jalapeño (I am a Texas girl). I just love it because it grows so well and is so prolific - it seems like it never stops producing fruit! And I could eat stuffed jalapeños and salsa all summer long. My favorite vegetable to grow is bibb lettuce. It's so pretty, but I mostly love not having to pay $4 for it at the grocery store. While it's very hard to choose, I think I like growing mint the most. 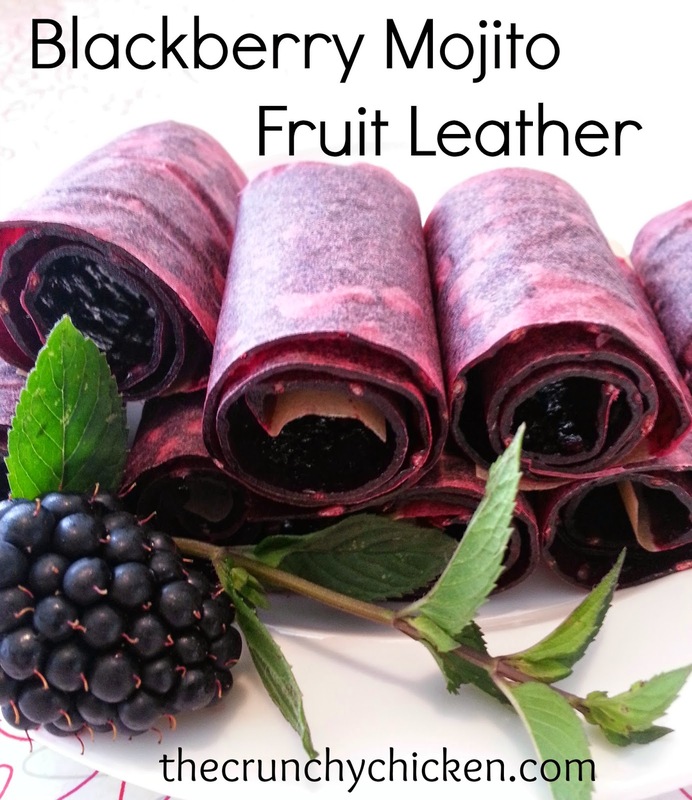 It's so forgiving and easy to grow, and has so many uses (including mojitos)! Plus, I have fond childhood memories of mint. Tomatoes,strawberries & parsley. The food plants because store bought don't begin to taste as good and the parsley because it's my fave, its goooood for you and it grows like a weed all over my garden. I live on the BC coast 100 miles from Vancouver. Apples... grew up on an apple orchard so that's a given. Raspberries come in close second. Lettuce is so simple and I love picking it right before supper to make a salad. Chives are my favorite herb, so easy and so flavorful! Fruit: if it has seeds... it's a fruit. Made from parts of the flower. Ok. Fruit: Cherries- the tart ones. Love them, even if I have to babysit the tree to keep the birds from getting first dibs. Herb: This one is Hard! Comfrey because it's such a marvelous healer, and if you're really into it you can cook the leaves and eat them too. Or Lemon balm, for its lovely soothing tea. Or Rosemary, soooooo nice with pork. Can I just replace everything else with herbs? Favorite vegetable to grow: Tomatoes. Not my fav. to eat, but man, they are so satisfying to grow. I love lemon basil and I've never grown any fruit (not counting tomatoes). Thinking about getting a gooseberry plant this year. Anybody know anything about those? I recently moved from a home we owned in Austin, Texas to a rental property in Edmonton, Alberta so I haven't had a chance to grow any fruit at the new place. But, in Austin, we had a Meyer lemon tree in a large pot and we adored it! When it bloomed, it scented the entire garden, and we made a lemon liquor from the fruit one year that was phenomenal. For veggie, I love growing Sugar Snap peas. Easy, fast, and for me, confirmation that spring is here. For herb, I love basil - particularly the Genovese basil. I'll make buckets of pesto from it and eat it on everything. Veggie: Good King Henry--new to me, a spinach-like green, perennial (that makes it a favorite right there), works in partial shade, grows back as you pick it, so it's always there. Herb: Chives, because even I can't kill them! Veggie- I like squash (isn't that technically a fruit) but think I am leading towards peas or Kohl Rabi. Fruit: Tomatoes. Otherwise Chinese Golden Plums. Herbs- Fennel. (That a herb???) Or Catnip. Medicinal- Feverfew. In So. Cal. there are two distinct growing seasons, so in summer, it is green beans, peaches, and basil, while in the winter, peas, tangelos, and parsley. Veggie: Not Butternuts (surprise! ), but peas(especially snap), because you can just plug 'em in without a lot of fuss (as early as February in my climate), they're usually the first "new" veggie growing in my garden in the spring. Plus, they're damn cute. I adore them raw or steamed with peanut sauce. Fruit: Blueberries, because they're beautiful and delicious and they remind me of the job I had at a u-pick blueberry farm in high school where I got to sit in the sun and read and pet the cat for most of the day. The plants look beautiful in the fall, too. Herb: Cilantro, because it is so yummy, and with the cool summers we have here you can grow it sequentially for months with 3 or 4 clippings each time you sow. I really like the cilantro delfino, too. It's a feathery cilantro that kind of looks like dill. You don't have to spend a lot of time chopping it because it's already feathery - think "pre-shredded." The flavor is slightly different but still yummy. It would have to be chard. Who can resist the shiny, buttery texture of leaves and all the colors. A gardenful of rainbow chard is like a candy store. For fruit, it is cherimoya. The fruit is exotic, intense and expensive, and growing it is a challenge. The tree forms a dense canopy, with a secret playing or musing chamber underneath. My favorite herb to grow is hyssop, because of its fluorescent deep blue flowers. I only have a small patio garden, mostly herbs so my favorite plants are all herbs. My all time favorite is growing Thai Basil because I can't even buy it in the store but I can enjoy it year round if I grow it and dry it throughout the summer. Well this is very topical considering I have spent way too many hours drooling over my Baker Creek catalog this past week. Fruit- I am gonna go tomatoes. Homegrown are just the best. Plus I love trying new varieties. Veggies- Peppers. I am pepper obsessed. Love them all- spicy, mild, green, red, yellow, rainbow. Whatever. Give em to me. Herb- Basil. I love making mozzarella, basil, and tomato salads fresh from the garden with all different colors of tomoato and basil. Yum! Vegetable - Ching-chiang pac choi - spring, crunchy, surprising, early harvest (40 days) - I was happy to discover it. Fruit - rhubarb. I'm hoping for my first harvest this spring. Herb - mint. So easy to grow and it's great for salad, stews and tea. It's also ready early here in Kansas. Veggie - squash - I love the flowers and the fruit! Fruit - Italian prune plums - Neat and sweet. 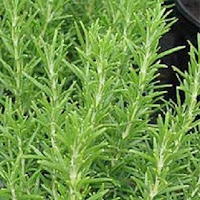 Herb - Rosemary - because it's an evergreen and beautiful in the garden. Apricots, sweet potatoes and basil. My sweet potatoes were very small which was great because they cooked up quickly. Veggie: Carrots, because my kids seem to love yoinking them out of the ground and eating them. Fruit: It's a toss up between my apple (which is not producing much yet, but hello: APPLESAUCE!) and the lemon, which is oh-so-helpful in the kitchen, but also for cleaning and laundry. The neighbor kids also love helping me and my kids distribute the extra lemons to neighbors. Herb: basil - so easy to grow and I love making freezer Pesto! Veggie: Tomatoes, of course. Nothing. Nothing. Nothing at all can compare. Herb: Mint, because I love it in my 'drinks of summer.' Mojitos, Moscow Mules and Limoncello-Mint Sparklers. Fruit: Strawberries, slightly warmed from the sun. Yum. Veggie: Greens - doesn't matter so much which, just that they are so very rewarding - even my shady yard and I can't stop them from being terrifically prolific. Fruit(? ):Hot peppers - again, rewarding. I love to eat them, love to watch them grow from flower to tiny fruit to mature colorful pepper, love how even just a little one can affect the dish it's cooked in. Herb: Sage or Basil. Fresh basil is hands down my favorite to eat, but sage is a beautiful plant to grow (as well as tasty), and the smell coming up from the sage beds as I brush by is lovely.